Join us for our new Thursday Night Live events! The health of American families has been decreasing at an alarming rate. Kids are sicker and taking more medications than ever before. We really just need to take a step back and ask a simple question…why? Why does 1 in 9 have ADHD? And 1 in 5 have some type of mental disorder? Why does the healthcare industry just keep handing out prescriptions, like candy? Is it really fixing the problem? The numbers just aren’t getting better. For years we have been taught to mask our kids’ health issues with drugs & surgery. In return, our kids continue to become even sicker. Let’s get moving in the right direction and learn more about all NATURAL health solutions for our kids. 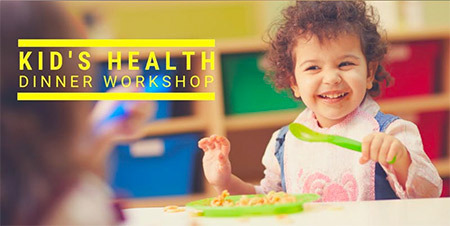 Join Dr. Jake for a complimentary dinner workshop, where he will share how we, as parents and a community, can fight against the Perfect Storm overtaking our kiddos.